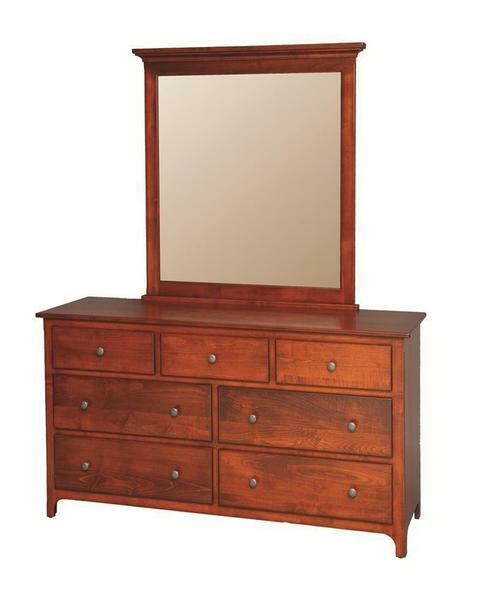 Increase the storage space in your bedroom with the addition of our Amish Plymouth Dresser with Optional Mirror. This Amish dresser can be handmade in the hardwood of your choice and finished off with one of our available finish colors. If so, no worries! We have a fully staffed team of Amish Furniture Specialists that can be reached at our toll free number - 866-272-6773. Call us today for answers to any questions that you have about this product or Amish furniture in general.